It's time I come clean with everyone. 7 Reasons Arts and Crafts are Better than Gym are my own reasons. I love making things, and I hate going to the gym. I know I am not alone, and this post is for those who are saying "Me too!" **Post contains affiliate links for which I will be compensated if you click on them to make any purchases. WARNING: This post does contain Irony and Sarcasm! Let's be honest. Did you make any New Year's resolutions to be healthier in 2018? To lose weight? To diet and exercise? Good on you if you did. I did too, I do every year. I even bought a Healthy Lifestyle addition for my planner, for 2018. It's pretty! Will I use it? Maybe. Yes, I should exercise and eat right for myself, and my health, and I do. I just loathe with a capital "L" to go to a gym. On the other hand...I do love going to a craft store or a dollar store and walking around for an hour or more. I figure that's exercise! So let's have some fun and take a non-scientific look as to what makes participating in Arts and Crafts better than going to a Gym! Reason # 1. No membership is required, and it's FREE! Seriously, why would I give out hard earned money to go into a building once a week or every other day, to exert myself physically and unattractively on equipment used by strangers in sweaty clothes? At least, when I walk into a store, the people there make me feel like I fit in. I spend, I feel good, and don't need to shower. Reason #2. Gym clothes. Ok, I have to admit I own leggings, t-shirts, and yoga pants...but they are for comfort not for showing off. Have you been inside some gyms? I swear some of these places are a fashion show of spandex and skin! I, on the other hand, feel I need more comfortable coverage when I am working out a craft project. Reason #3. The risk of injury. If you do not know how to use that complicated equipment in the gym, you could really hurt yourself! 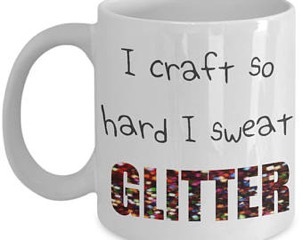 Whereas when I craft my biggest risk of injury would involve a glue gun, and burning my fingers. (By the way, it's no big deal...you get used to it after a while). Reason #5. Sweat. Ok, I 've mentioned this one already, but it bears repeating. Sweat. Especially other people's. Yuck! I can spend an entire weekend at a scrapbooking crop with a couple hundred attendees and NEVER have to towel off another person's perspiration from a die cutting machine! Unlike gym equipment! Reason #6. Competition vs. Cooperation. When is the last time you witnessed strangers encouraging each other or helping each other out in the gym? There is far more of a competitive spirit in the gym than in a room of crafters. In the gym, people want to better themselves, which is fine. But, honestly, there are some who want to show that they Are better! In arts and craft activities people tend to encourage each other, share ideas, and find inspiration from other creatives. More experienced crafters can often be seen helping out the newbies. Reason #7. Judgement. It's not right, but it happens. Crafters do not tend to judge other crafters on their clothing brands, nor how fat or fit they are. 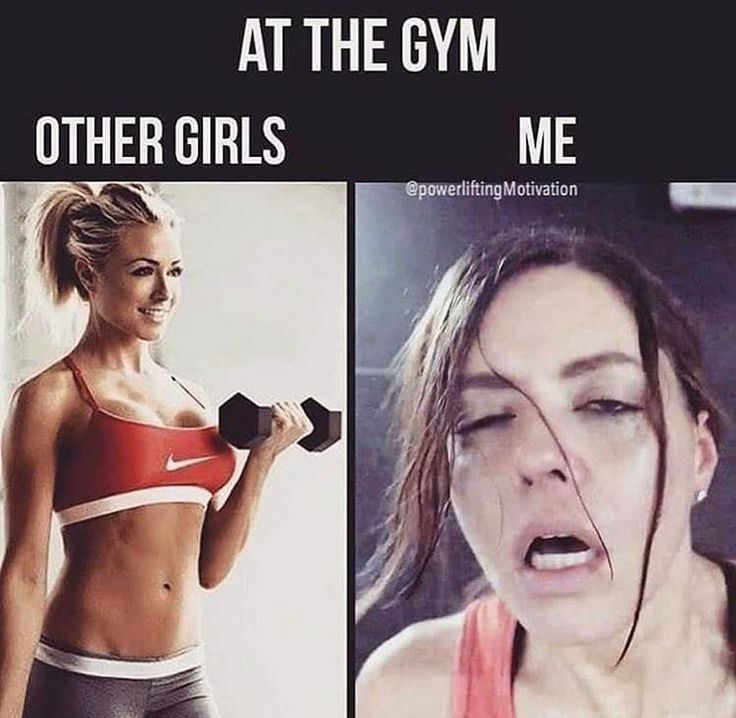 I have witnessed the opposite more than once in a gym situation. When was the last time a gym member complimented another member on their homemade running shoes? 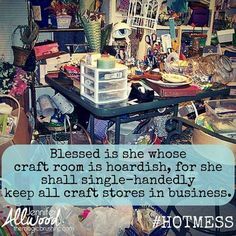 In my circle, other crafters would be in awe! Remember, these are strictly my light-hearted opinions and are not backed by any legitimate research. If I haven't thoroughly insulted you and you are looking to learn more about being creative and crafty, then please come back to view my posts and videos.